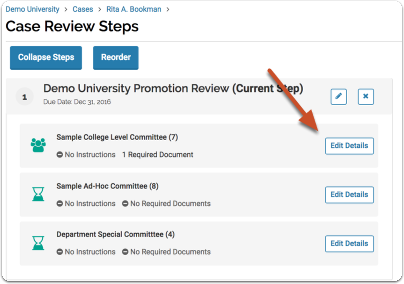 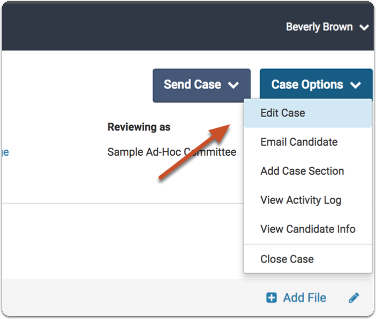 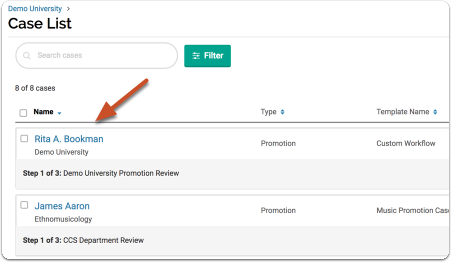 Committees are created and added to a workflow step when creating a case, but Administrators can also edit the membership, instructions and document requirements of a committee when editing case review steps. 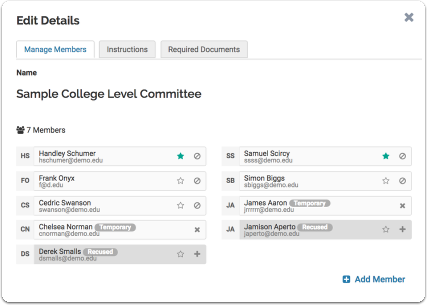 Find the committee you want to edit and click "Edit Details"
From here you can manage committee membership, add instructions for the committee, and add required documents. 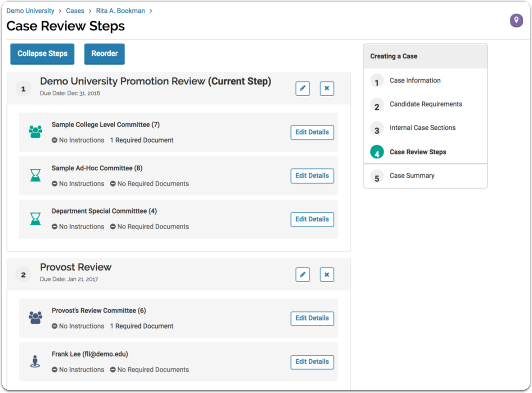 Note that changes made to the membership of standing committee are temporary unless made from the "User & Group Management" page.